The Council Bluffs Convention & Visitors Bureau serves as the destination marketing organization for the city but also works with the countywide tourism committee to promote Pottawattamie County. In 2015, visitors spent more than $305 million in the county according to the US Travel Association. The community attracts business travelers with the meetings and conventions held at local hotels and the Mid-America Center. Leisure visitors are enticed by CB’s railroad heritage, bicycle trails, and three casinos among other attractions. In addition, many athletes and fans participate in the sporting events held at the Council Bluffs Recreation Complex, Iowa West Field House, and other athletic facilities. And of course, the Loess Hills and a number of county parks create a major draw for visitors from near and far. Ready to let loose while visiting the area? Simply go to UNleashCB.com. Majestic views are the hallmark of a trip on the Loess Hills National Scenic Byway. Formed by deposits of very fine, windblown soil at the end of the last ice age, these are not your average hills. Spanning 15 miles at their widest and nearly 200 miles long from Sioux City, Iowa to St. Joseph, Mo., you’d have to travel to China to see any taller loess formations. The Iowa Native Plant Society (INPS) is an organization of gardeners, amateur and professional botanists, and others, united in their interest in Iowa's native plants. INPS annually provides many grants for research, education, and restoration; manages an email discussion group; and offers field trips, programs, and newsletters. Because Iowa's pollinators and native wildflowers, shrubs and trees have evolved together, INPS encourages people to garden with native plants, helping to preserve biodiversity. INPS supports educational events organized by others, such as the Loess Hills Prairie Seminar, Iowa Prairie Conferences, Prairie Preview, the Tallgrass Prairie Center, Plant.Grow.Fly., and some workshops related to native plants. Iowa Wildflower Month (May) is coordinated by INPS, helping to publicize events throughout the state. The website calendar provides information about programs and field trips offered by INPS and others. Membership fees begin at $10, and students can join for a one-time fee of $5 for the duration of their status as a student. Whether it is prairie, savanna, woodland, or wetland, and whether it is in a state preserve, a park, a wildlife area, or on private property, you can join an INPS field trip to learn more about Iowa's flora from others with like interests. Iowa Natural Heritage Foundation (INHF) is a statewide nonprofit conservation organization that works with private landowners and public agencies to protect and restore Iowa’s land, water and wildlife. Since our founding in 1979, our members and staff have protected more than 150,000 acres of Iowa’s natural resources. Protection: Partnering with landowners and conservation organizations to permanently protect important and threatened lands across Iowa to benefit water, wildlife and people. Stewardship: Ensuring the long-term health of protected land. Connection: Strengthen the relationship between wild places and people who will experience, value and advocate for them. Advocacy: Giving a voice to Iowa’s natural resources through funding initiatives, important partnerships and political championship. The Iowa Prairie Network is a grass roots, volunteer organization that is dedicated to the preservation of Iowa's prairie heritage. IPN was formed in 1990 by Iowans concerned that our prairie heritage was disappearing. People needed an organization that would bring those who know about prairies together with those who wanted to learn about them. It was also set up to form a network of advocacy for Iowa's natural heritage. The mission of The Nature Conservancy is to conserve the lands and waters on which all life depends. Our vision is a world where the diversity of life thrives, and people act to conserve nature for its own sake and its ability to fulfill our needs and enrich our lives. The Conservancy and its more than 1 million members have protected nearly 120 million acres worldwide. The Nature Conservancy in Iowa was established in 1963 and currently has more than 7,300 members working throughout the state. Watta Way to see Pottawattamie County. Wattawayiowa.com is your source for County Parks, Recreation Areas & Community Attractions in Pottawattamie County. We invite you and your family or friends to come explore everything our WattaWay trail and county have to offer. We have packaged several day trips for you to enjoy. Check back frequently because trips will be updated as the seasons change. Our goals are to help young people from diverse backgrounds become more connected to the environment, engaged in conservation, involved in the community and prepared for future employment. The Corps has many AmeriCorps opportunities for young adults, ages 18-25, including Field Crews in Minnesota and Iowa, which engage young adults in year-round natural resource and emergency response work. There are four crews serving out of Ames, Iowa, two crews dedicated to Polk CCB, and two crews serving the Loess Hills based out of Pottawattamie CCB’s Hitchcock Nature Center. This year there are also two members serving as Youth Corps leaders with Polk County Conservation, one member serving with the Iowa DNR River’s Program, and four serving with the Iowa DNR conducting wildlife studies. PCCB: Pottawattamie County Conservation promotes an appreciation for Iowa’s unique natural areas through year-round environmental education programming, natural resource management and habitat restoration, as well as many recreational activities at any of our county parks. Whether you enjoy hiking, camping, fishing, or just want to learn something new, Pottawattamie County Conservation offers exceptional opportunities to experience and explore the outdoors. ​Truax Company has been in business in Minneapolis, Minnesota building grass-seeding equipment since 1974. As a landscaper during the early 1970's, Jim Truax experienced first hand the frustration of trying to plant native prairie grasses with the available equipment. These frustrations led to the design and development of the Truax Drill. Truax equipment is designed from the top down to effectively meter and plant grass seeds at the required shallow depth. While the initial emphasis was planting native species, the addition of the small seed box and the optional cool season/grain box gives Truax seeding equipment the capability to efficiently meter and plant most types and textures of grass, legume, wild flower, and cover crop seed. Truax Company pledges to continue providing you with grass seeding equipment to meet your needs. "Leading the way…for precision seed placement." Trees Forever is a nonprofit organization nationally headquartered in Marion, Iowa. We are dedicated to planting trees, encouraging volunteer and youth involvement and environmental stewardship. For more than 25 years, we’ve been planting a better tomorrow. For more information, visit our website or call 800-369-1269. The Gilchrist Foundation provided a $2,000 donation to support the 2017 Iowa Prairie Conference. The mission of the Gilchrist Foundation is to further the philanthropy of its founder and her family. The family had varied interests that embraced wildlife and conservation, the arts and public broadcasting, and disaster relief. The emphasis is on fostering the long-term viability of the charity and enabling special projects rather than supplying current operating funds. The Foundation provides incentives and funds to pre-selected non-profit organizations that further these goals, with a preference for the Sioux City and Chicago areas. 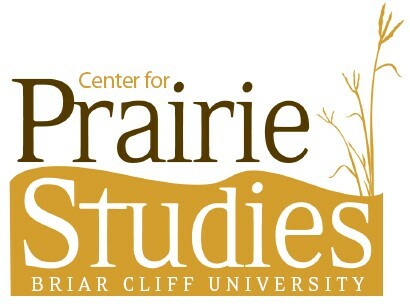 Established in 2009 through a grant from the Gilchrist Foundation, the Center for Prairie acts to enable Briar Cliff students, faculty, staff, and the surrounding community to acquire a sense of place, and to function as a catalyst for prairie preservation through education, research, and outreach.